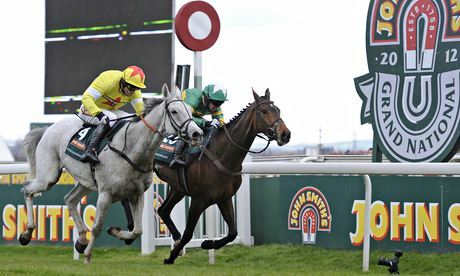 The UK’s most wagered on horse race, that being the Grand National, is scheduled to take place at 4.15pm next Saturday the 5th of April at the Aintree racecourse, and as is always the case all online sports betting sites are gearing up for the huge volumes of cash that are going to be wagered on this 4 miles 3 furlongs and 110 yards Steeple Chase. There are not only huge variations in regards to the actual odds offered on each runner in this race depending on where you choose to place your wagers at but there can be many differences in regards to just how many Each Way places each bookmaker and betting site is going to offer punters opting to place such a wager. In fact with competition being so fierce amongst online betting sites there are also some quite generous sign up bonuses and little extras available to anyone who signs up as a new customer at any of the major betting sites, and to give you a complete round up of what extras all of the better known sports betting sites are rolling out in the run up to the 2014 running of the Grand National below we have a complete overview of the bonuses, enhanced odds and a whole plethora of other extras currently on offer! Should you be interested in taking one of the Early Prices offered on this year’s Grand National from the Paddy Power betting site then you can place those wagers safe in the knowledge that if your horse does not run, for whatever reason, then you will get all of your stake money returned to you. The Non Runner No Bet bonus is available on all Early Prices taken on any horse in this year’s Grand National and should the race course declare a Rule 4 deduction then you will not be charged that deduction and as such you will get all of your stake money returned. Paddy Power will be paying out to five places on all Each Way bets, they will pay a quarter of the odds on all placed parts of any Each Way bet placed via their online betting site, and looking at the number of runners, which is as large as ever, this is a very fair set of payouts on all placed horses! There are many aspects that regular punters placing wagers at the BetFred betting site have got used to being offered, and one of these is their range of Best Odds Guarantees that are offered on each days horse races, should you visit the BetFred betting site before the Grand National gets under way then you will of course be able to take advantage of these consolation bets. As many people usually opt to place only one horse race bet each year, with that bet being placed on the Grand National let us give you a quick overview of how these Bets Odds Guarantees work! If you take a look at the BetFred betting market for this year’s Grand National you will see they are offering odds on each runner in the race. You can place you wager online and you can accept the odds displayed against your chosen horse or horses, and if any horse you select to win then goes on to win the race you will be paid out at the odds you were offered and took. However, if the race course announces the Starting Price Odds on your selection are higher than the ones you took then BetFred will give you the larger odds, should the Starting Price Odds be lower than the ones you accepted when playing your wagers you are paid out at the odds you took! The Coral Betting site are hoping to attract a lot of new customers to their online betting site in the run up to the Grand National for they are offering all new customers the chance to claim a 20.00 free bet when they place any wager of just 5.00. This is going to appeal to many first time online horse race bettors who do not fancy visiting one of the many land based Coral Betting shops which are always packed to capacity before the Grand National gets under way! However if you do wish to place an Each Way bet on the Grand National then it may pay for you to place your wagers at another betting site for Coral are only offering a quarter of the odds on the first four placed horses in the Grand National and when compared to what Paddy Power for example are offering Each Way bettors namely a quarter of the odds on the first five placed horses then the Coral Each Way betting markets are quite poor valued! The one time UK based betting shop operator Bet Victor has always been famed for offering something completely unique to their online sports betting customers, and as sure as night follows day this year’s Grand National betting markets at the Bet Victor betting site are going to offer punters the best value and winning chances! Not only are you going to find Early Prices offered on every single horse pencilled in to run in the 2014 Grand National and you will be able to get your bets placed no matter how large they are and with no restrictions, but you are also going to benefit from an enhanced Each Way betting market! Bet Victor are offering an amazing 6 places on all Grand National Each Ways bets and will be paying out those bets at a quarter of the odds! This really is one betting site that knows what punters want and is looking for and is going to be the site you ought to be placing any Each Way bet on this year’s Grand National at!